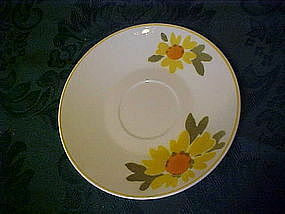 We have 3 saucers avaailable in Mikasa's Dolly pattern. Pretty yellow flowers with orange centers on a white china background. Possibly sunflowers. Price is for each and all are in perfect condition.